Maulana Jalaluddin Rumi (1207-1273) is a soldier and volunteer (on the path of Truth) who dedicated his life to knowledge, wisdom, and virtue, in short, to Allah and the people. Taking the beautiful morality of the Prophet as his example, he attempts to teach man the roads to virtue and excellence in all of his works.Maulana frequently touches on the prophets, their struggles and the beauty of their virtue in his works. He mentions by one means or another almost every prophet who is named in the Quran. 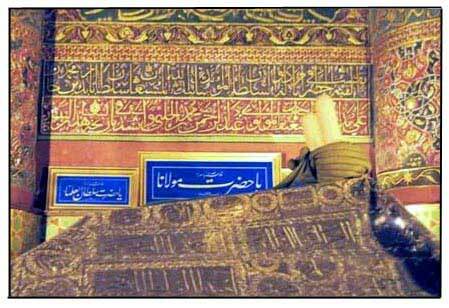 He bases his description of the Prophet mainly on the Quran, hadiths, historical events and narrations. By adding poetical expressions of his profound love to this material, Rumi presents a rich discourse. We see that he refers to and describes our prophet in this order: Ahmed, Muhammad, Mustafa, Prophet, Messenger, Ahmed-i Muhtar, Nebi, Ambassador of Allah, Highest of the Prophets, Sultan, Padishah and Yasin.